From sweeping, wide sandy beaches, colourful and relaxed villages, kilometres of rolling dunes to fine dining and excellent hiking and cycling paths. Texel is a must-see for everyone who visits The Netherlands. 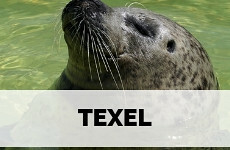 Would you like to visit Texel? 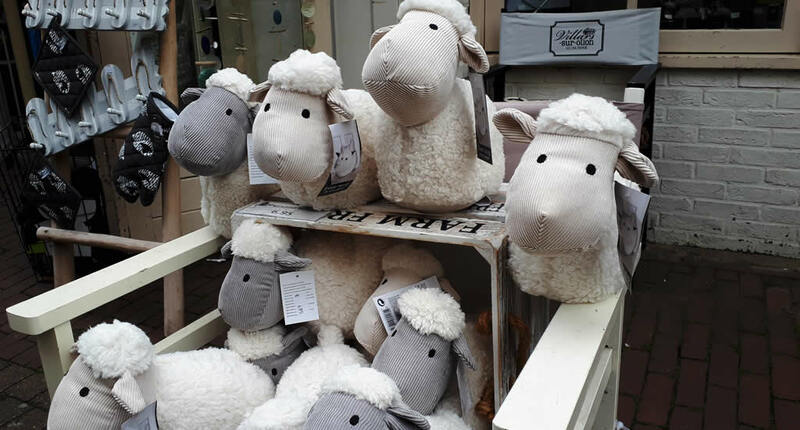 Do you wonder what there is to see and do on Texel, The Netherlands? 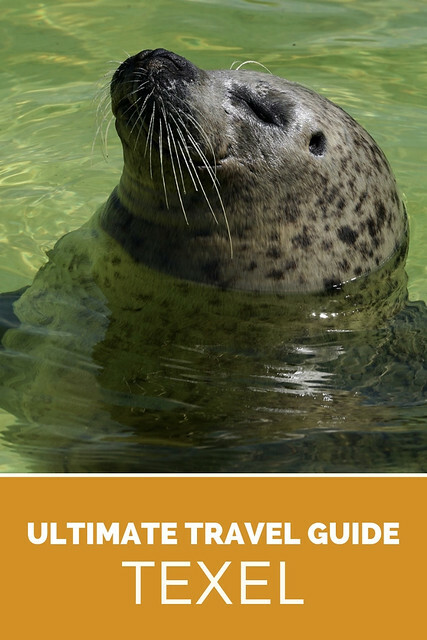 This complete guide tells you all you need to know about Texel. With 25km long and 9 km wide Texel is the largest of the Wadden islands, the islands in the north of The Netherlands. Together with the other islands and Waddenzee Texel is on the UNESCO world heritage list. And when you get there, you will have no questions why. The land is so flat, that you almost feel like you’ll be able to see from one side to the other. If not for the magnificent dunes of Texel, this would be true. Texel is all about long walks in the dunes, cycling across the island, spotting seals, enjoying surprisingly tasty local produce at the many excellent restaurants on the island, relaxing on the beach and gasping at the wonderful variated ecosystem. If you’d like to visit Texel, take at least a day or two to explore. Texel was named a top-place to visit by Lonely Planet in 2016. And The Guardian has cheered Texel beaches ‘with its varied, rugged-to-manicured feel’ and ever since foreign visitors have been coming to Texel more and more. But really, us Dutchies have loved Texel forever as a holiday destination. Since foreign media have discovered the island, it has become quite a bit more crowded, so pick your time to visit right. During the week it’s quieter than on weekends, as Texel is a popular weekend-break destination for the Dutch and Germans. Also, if possible, try to avoid the summer month and first two weeks of May when the Dutch celebrate their holidays and accommodation fares are peaking. There’s only one way to get to Texel, and that’s by ferry from Den Helder in the north of The Netherlands. Ferries run hourly (and half-hourly in high season). When travelling by car it’s advisable to book ahead. If you’re travelling by foot or with your bike, simply buy your ticket when you get to the docks. The boat ride only takes 15-20 minutes. If you’re not travelling by car, simply hop on a train to Den Helder (there’s a direct connection from Amsterdam). At Den Helder station you can catch a bus to the harbour. When in Texel, there’s bus no. 28 to get you around the island (or rent a bike!). 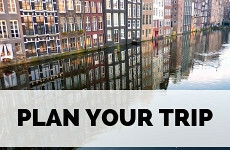 To travel on any type of public transport in The Netherland, buy an OV Chip Card which you can charge as you go. Den Burg is Texel’s unofficial capital and the largest village on the island. The small, winding street, flanked by traditional white and wooden houses are picture perfect. 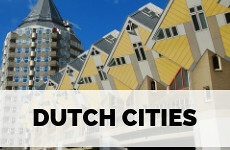 Den Burgh has a museum, cinema, several supermarkets, nice shopping opportunities and many lovely cafés and restaurants. It’s a good idea to spend at least one afternoon or one morning discovering Den Burgh. 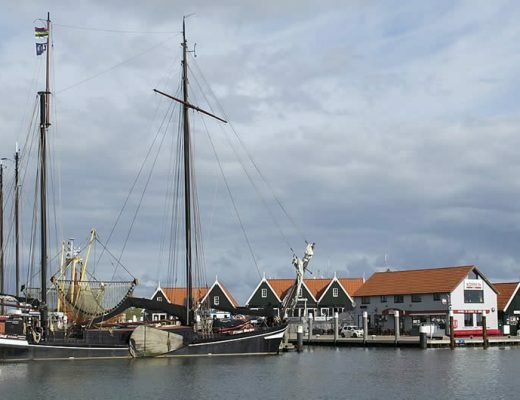 Oudeschild is directly by the sea and is the perfect place to go for a seal spotting boat tour and discover the amazing ecosystem that is de Dutch Waddenzee. In the harbour, you’ll find the most amazing seafood restaurants. Don’t skip the Kaap Skil Museum. If there would be a thing as a ‘resort town’ on Texel, De Koog would be it. In the summertime, youngsters come here to party, De Koog has the most beach clubs and nightclubs on the island. Having said that, De Koog is also close to the most amazing national parks of Texel and close to some great beaches. You can take beautiful walks in the dunes. 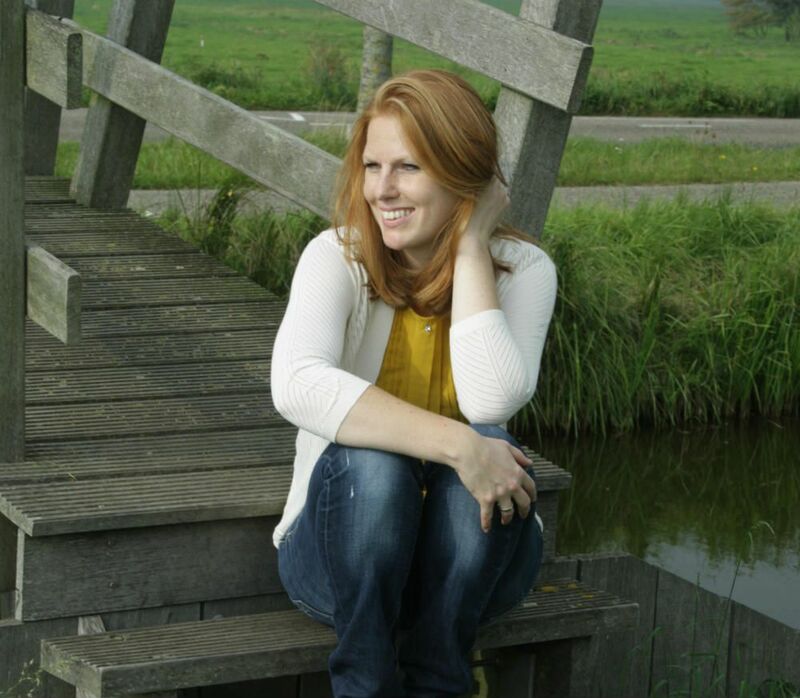 Most of the camping sites, hotels and B&B’s are found in De Koog. Den Hoorn is the most southern village of Texel and probably the most photographed village. 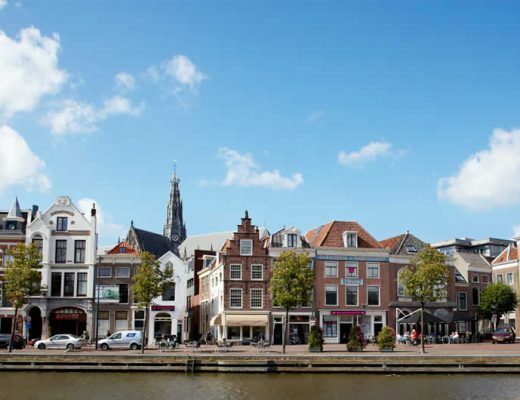 Den Hoorn is popular with artists, hence the many galleries in town, and the white church must be one of the most Instagrammed churches of The Netherlands. 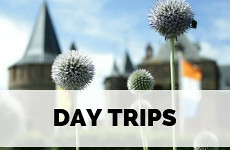 In April, around Den Hoorn is the perfect spot to see wide stretches of tulip fields. So hop on a bike and discover! This is the most northern village of the island and named after the shipping company that built the 11 kilometres of dykes in the north of Texel. It used to be a quiet village, but over the last couple of years many restaurants have popped up, making for excellent lunch options after hiking in the surrounding national park or a long stroll on the beach. 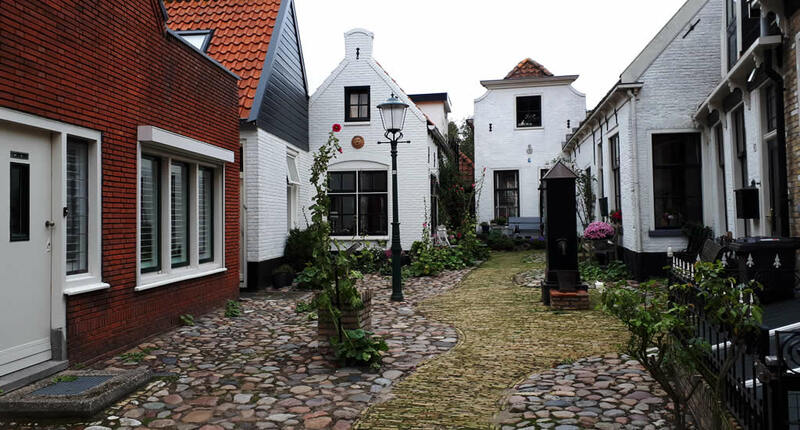 According to locals, Oosterend is the prettiest village on Texel. And when looking at the traditional. colourful half-timbered house, you’ll probably agree. You can take several walking tours through the village and its surroundings, the map is available in many shops in the village. The dune-scape along the west coast of Texel is the main reason for visiting Texel, in my honest opinion. I never really knew dunes could host such a variety of flora and fauna. There’s grass, heather, orchids and buckthorn. Literally, hundreds of birds call the dunes of Texel their homes. From Ecomare it’s possible to take a 2-hour guided walk in the dunes. The Slufter is the northern part of the Dunes of Texel national park and became a wetland, after an attempt to reclaim the land. In the 1900’s a sea flood caused the development of a unique ecosystem. Nowadays, it’s a beautiful place to cycle and hike. Thousands of seals live in Waddenzee, the unique ecosystem between the Dutch Wadden islands and the mainland. Seals can sometimes be seen on the Texel beaches, but there’s a better chance to see seals on the banks that lay dry during low tide. Quite the spectacle. To see this, bring your camera and go seal watching on one of the traditional fishing boats that leave daily from Oudeschild or De Cocksdorp. 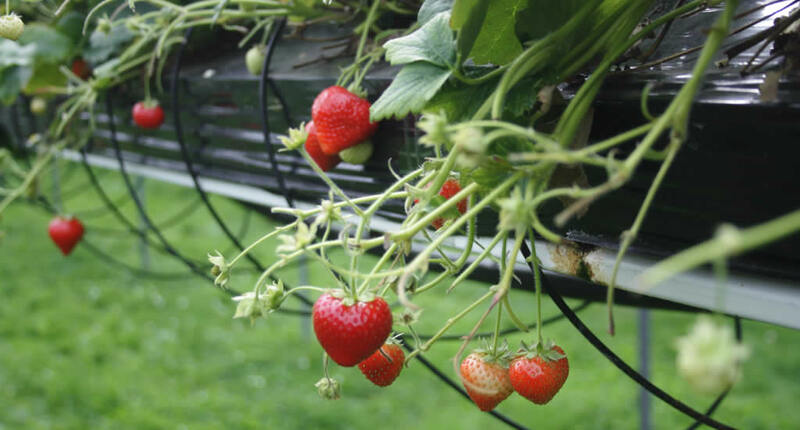 Even if you don’t want to pick your own strawberries, cherry tomatoes, raspberries, blueberries, grapes and flowers, a walk through De Zelfpluktuin near Oudeschild is delightful. Rows and rows of fruit plants and trees, as well as flowers, make for such a lovely stroll. Sit down at the café for some coffee and cake and splurge on some homemade jams, juices and sweet treats to take home. 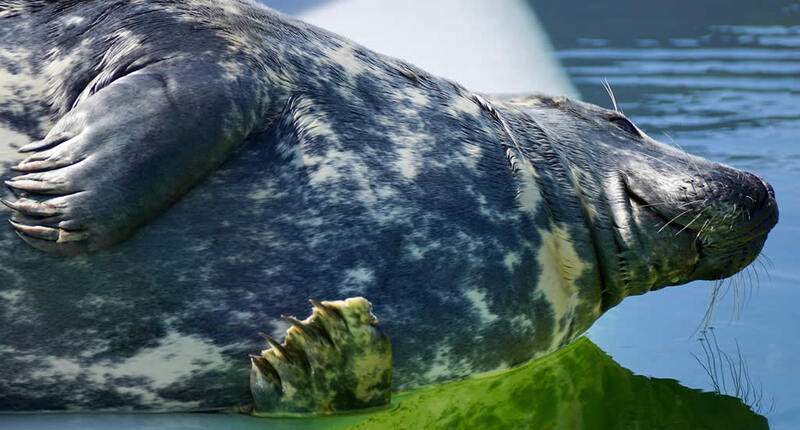 Ecomare was once set up to take care of sicks seals and seal pops saved from Waddenzee. 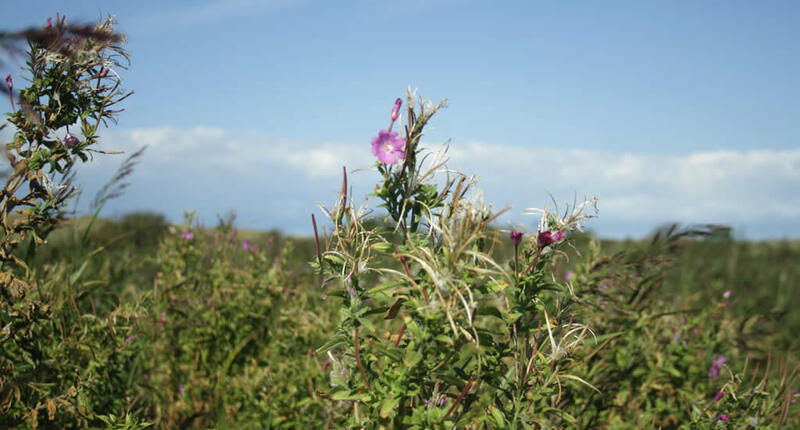 These days, however, Ecomare is also an educational centre devoted to understanding the unique ecosystem on and around Texel. The aquariums with fish from Waddenzee and North Sea (including sharks) are pretty interesting, as well as the feeding of the rescued seals that takes place twice a day. Don’t skip the skeletons of the whales that washed up at the Texel beaches. 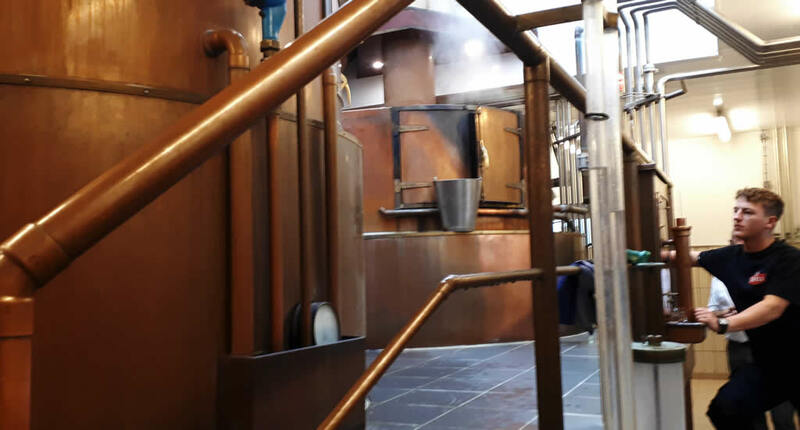 What used to be your average craft brewery has turned into one of the most popular breweries in The Netherlands. 10 beers are brew on the premises and they’re made from mainly local produce. The beer is even brewed with water from the dunes of Texel, resulting in a very smooth and soft flavour. You can buy beers at the brewery shop or go on a brewery tour. Another product Texel is famous for is cheese. And the cheese from Wezenspyk is well-known in The Netherlands. Pop by the farm to visit the cheese café to do some tasting or order some cheese fondue. If you’d like a guided tour around the farm, make a reservation through the website. The stunning building alone, made completely from washed up materials, makes a visit to the Kaap Skil Museum worth your while. The museum is dedicated to maritime life and beachcombing and the collection of washed up treasures from shipwrecks is truly mind-blowing. You can’t miss the bright red lighthouse at the northern tip of the island. The lighthouse is 35 meters high. You can climb the 150 steps for magnificent views over the island. Make sure to go during low tide when seals can be spotted on the sandbanks near the coast. Dutch wine? Yes! Texel has the most hours of yearly sunshine in The Netherlands, and the unique ecosystem makes for an interesting place to grow wine grapes. At De Kroon, which is located at the edge of the dunes national park, you can taste a dry white wine that’s a lot like Riesling and even red wine, produces with the Regent grape. 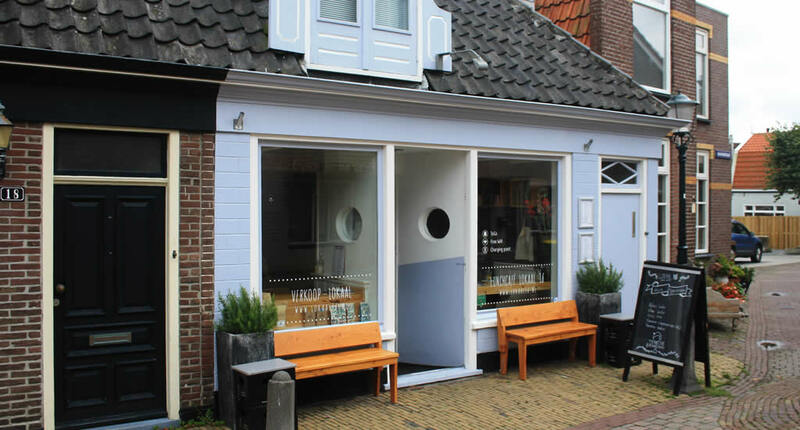 This simply must be the best seafood restaurant in Texel. Perched at the end of the docks in Oudeschild overlooking the traditional fishing boats going on seal watching expeditions. Order the locally grown oysters, clams or fish platters. The North Sea crab and seabass are superb. You can’t get fresher ice cream on Texel. This dairy farm makes its own ice cream and you can taste 18 flavours. Lokaal 16 in Den Burg is the best place in Texel to go for breakfast, brunch or lunch. 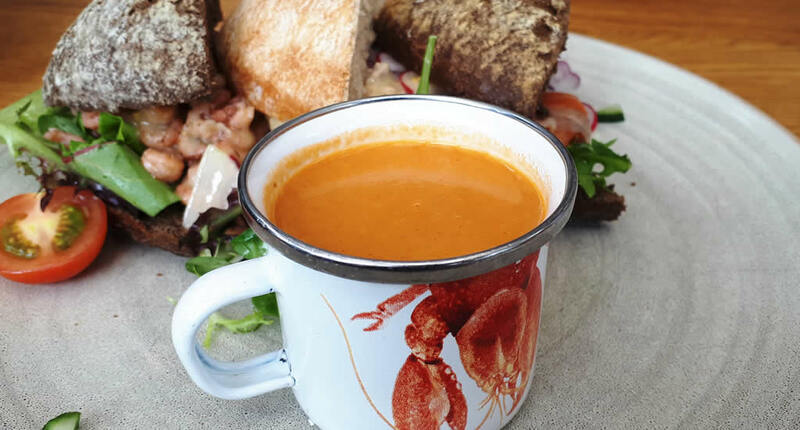 The menu offers everything from croissants, cakes, breakfast bowls, sandwiches and sandwiches all served in a cosy traditional half-timbered house. Are you camping in Texel or staying in one of the holiday parks? 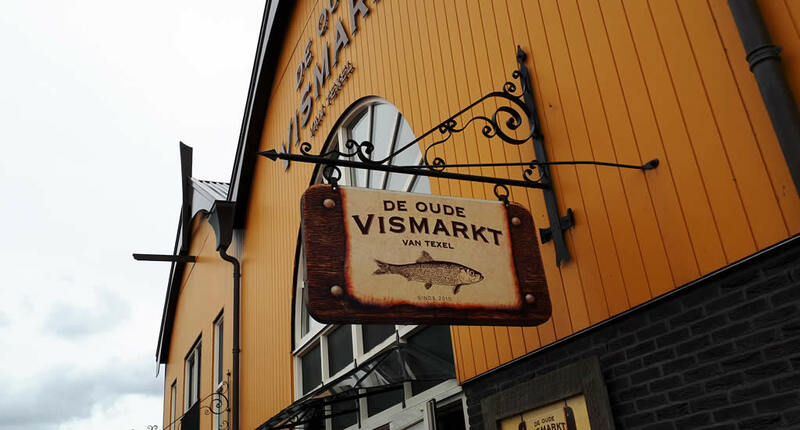 Go to Oude vismarkt to buy the freshest local fish. You can buy fresh chunks of fish and prepared dishes. The shop has a dozen tables, so order a small meal to have a fishy lunch feast on the spot. The best budget place for breakfast or cake is Bakker Timmer right in the city centre of Den Burg. It’s actually a bakery, but you can take a seat at the tea shop and pick one of the amazing yummy pieces of cake or savoury bakes from the displays in the shop. Local meets cosmopolitan at Bij Jef, what’s probably the best restaurant on the island. Most dished are prepared with the finest local produce, like lamb, oysters, duck and cod. Do book in advance, Bij Jef is a popular place. 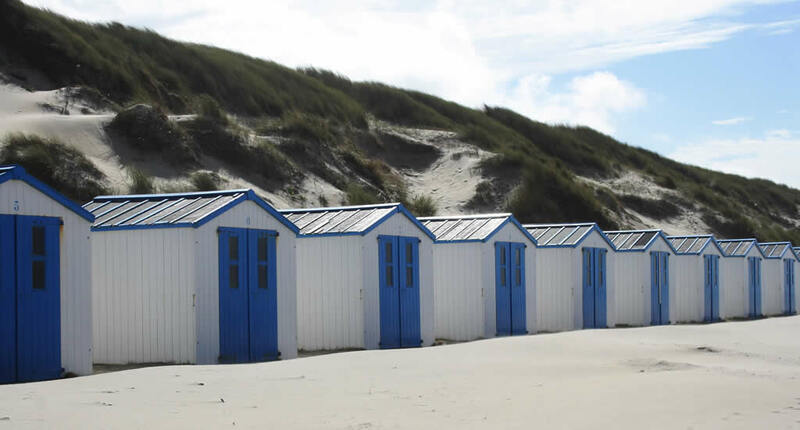 A trip to Texel isn’t complete without lunch, drinks or dinner at one of the many beach huts. Gastropaviljoen XV is a relaxed place, decorated with vintage and retro furniture. Outside many tables overlook the beach, making it the perfect spot for sunset watching whilst sipping a glass of wine or a cocktail. 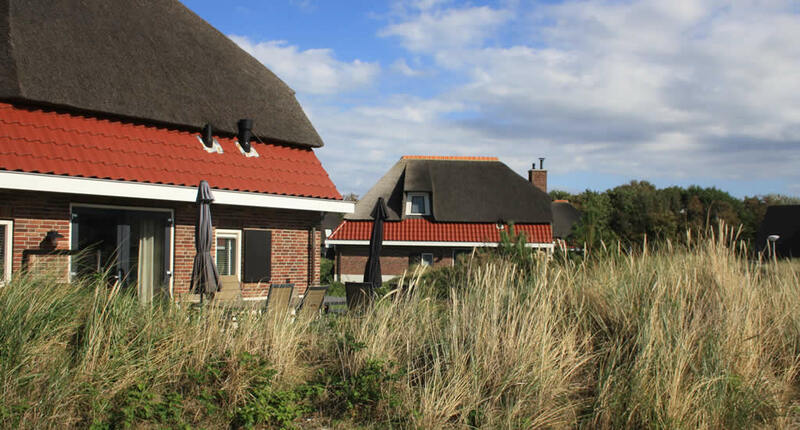 This holiday park has cottages catering for 4 up to 12 people, the largest cottages are brand new and built in traditional Texel farm style, with half-thatched roofs. All bedrooms have boxspring beds and kitchens come fully equipped with a dishwasher. Some cottages have a washing machine, but there are also laundry facilities on the park. 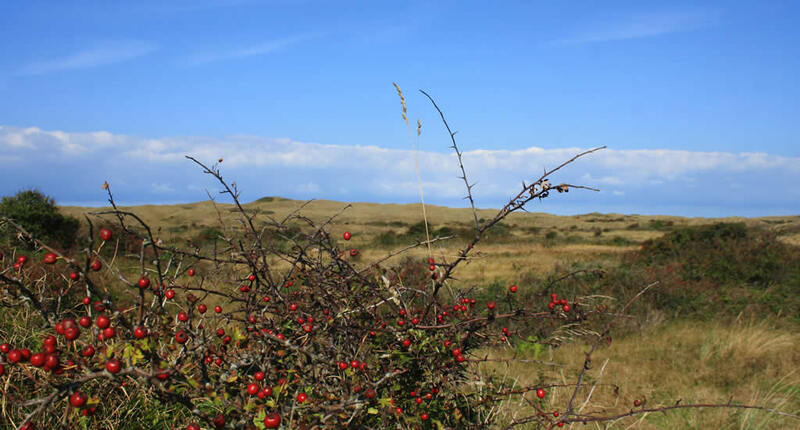 The holiday park is set in the middle of the dune at the northern tip of Dunes of Texel national park, with many excellent hiking and cycling opportunities. It’s only a short stroll to the beach. On the park grounds, there’s also an inside swimming pool and a rather good restaurant. 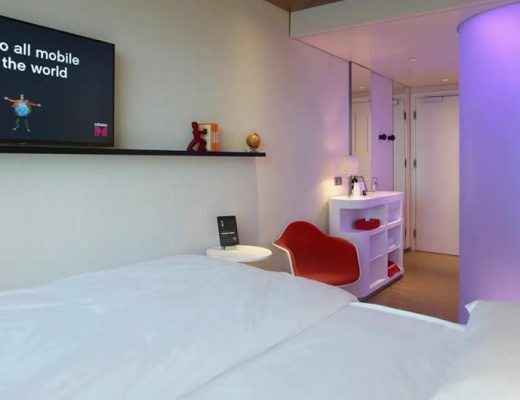 A weekend of pampering is no problem at this Texel boutique hotel. The rooms are spacious and extremely comfortable. Some of the more luxurious rooms have a terrace or balcony, overlooking the beautiful Texel fields. The hotel’s restaurant is a good place for dinner, in the morning it’s where you enjoy your scrumptious breakfast. Eating Bij Jef is a world-class experience and so is staying the night at the adjoining boutique hotel. The hotel is set in a historical vicarage, and even though the old details still show, the rooms just ooze modern luxury. Think fireplaces, rugs and jacuzzis. In the morning don’t skip the breakfast that consists of several courses. 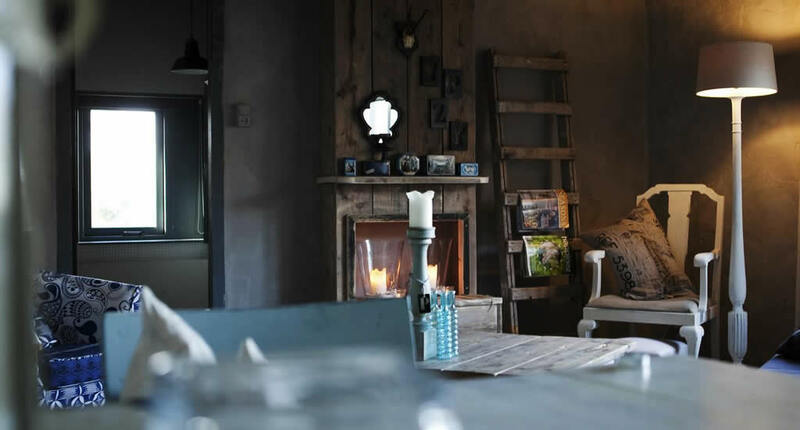 Cosy country charm and traditional Dutch design meet comfort and style in this B&B in De Cocksdorp. You can sleep in an old-fashioned Dutch bedstead and relax in the garden. The B&B is close to the restaurants in town and near the dunes and beach. If you prefer self-catering accommodation in Texel, this beach park is for you. Beach Park Texel offers spacious villas for 4 to 8 people. These villas do live up to their names, as they’re huge including saunas, washers and dryers, fully equipped luxury kitchens and boxspring beds. You will have a spacious garden to have a bbq or just enjoy the sun. 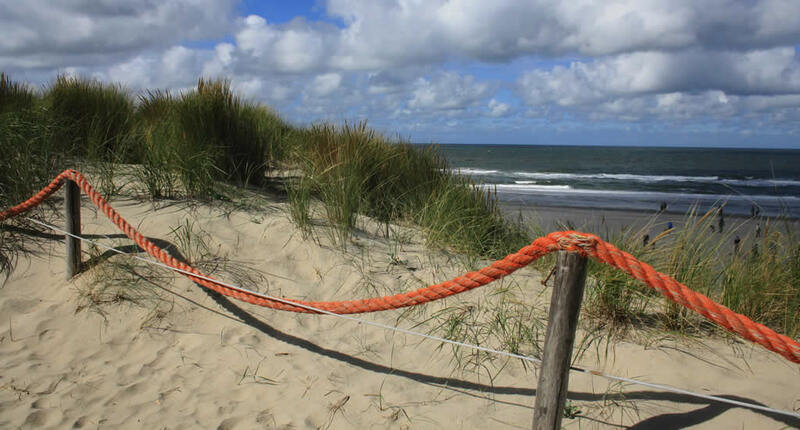 The holiday park is close to the beach and Dunes of Texel national park.